Sell your iPhone 6S 64GB online at OnRecycle to get the best prices from an array of phone recyclers. In seconds, you'll have all the data you need to recycle your iPhone 6S 64GB with confidence. 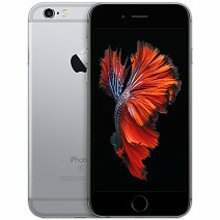 If you're thinking "Where will I recycle my iPhone 6S 64GB for a good sum of money?" OnRecycle is the place for you. We make selling your iPhone 6S 64GB easier than ever, thanks to our hassle-free comparison service - simply browse and go! Explore our iPhone 6S 64GB trade in prices today.